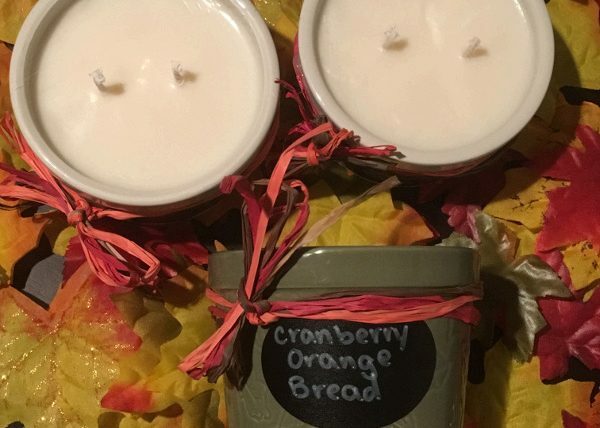 My name is Emily Shaw and I run Sweet Aromas by Auntie Em, a soy candle and wax melt business in Hilliard, Ohio. 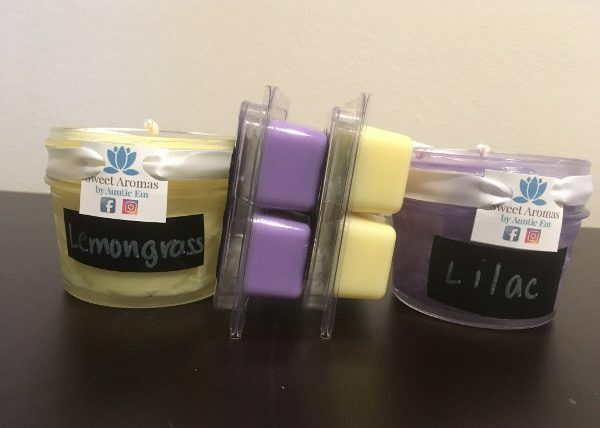 I started my candle-making venture in December 2016 – my mom loves the scent of lilacs but has always had a hard time finding lilac-scented candles. I took it upon myself to make her lilac-scented candles that Christmas, and I have continued learning and working to perfect the art of candle-making since then! All my candles and melts are made with 100% soy wax. My trademark look is candles in Mason jars, but I do take requests for different containers. 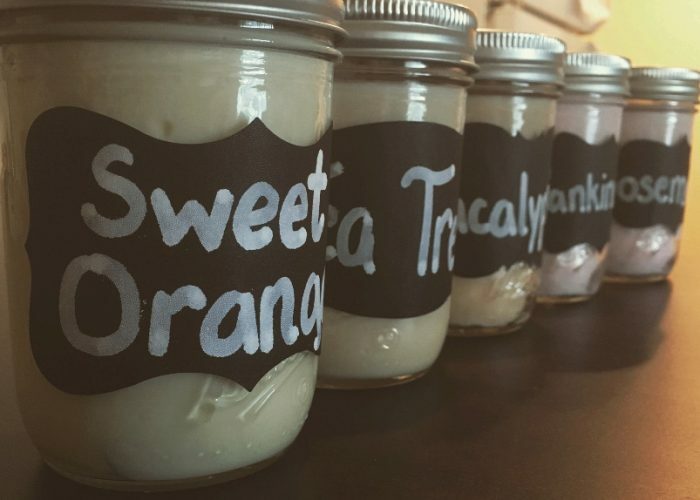 I also can customize scents, colors, and jar décor. Some of my favorite orders I’ve fulfilled have been very specific (and sometimes challenging). 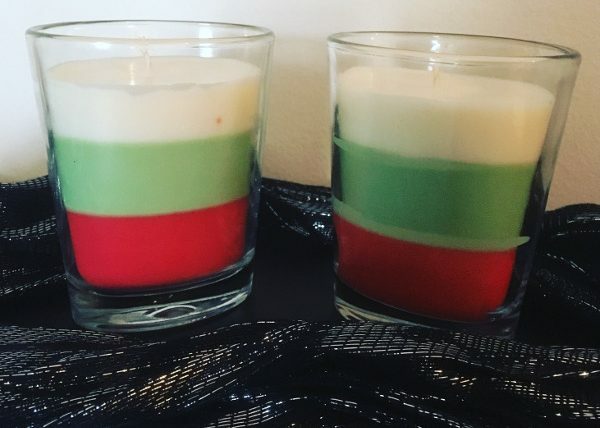 I have customized a candle in remembrance of a customer’s friend who had passed away, I have combined scents to match a customer’s favorite candle scent no longer in production, and I have added novelty scents such as pizza and bacon as they are requested. I take pride in my work and strive for more than customer satisfaction. I want my customers to feel elated, touched, grounded, soothed, and inspired by my products. I am excited to share my candles and wax melts with anyone who is interested.